Note: If you’re joining the additional “Explore LA Yoga Retreat”, you’ll want to depart late on Wednesday, August 26, or on Thursday, August 27. We recommend you stay in Santa Monica or Venice due to its close proximity to the Santa Monica Bay Woman’s Club and local studios. There are dozens of options available locally ranging in price from budget-to-luxury, depending on your preference. Airbnb.com – rent a room, an apartment, or an entire home. This site is a great place for finding all types of local accommodation. Look for places in Santa Monica. Double Tree Santa Monica – this is a large hotel with all the modern amenities you’ll need and very convenient for all events. 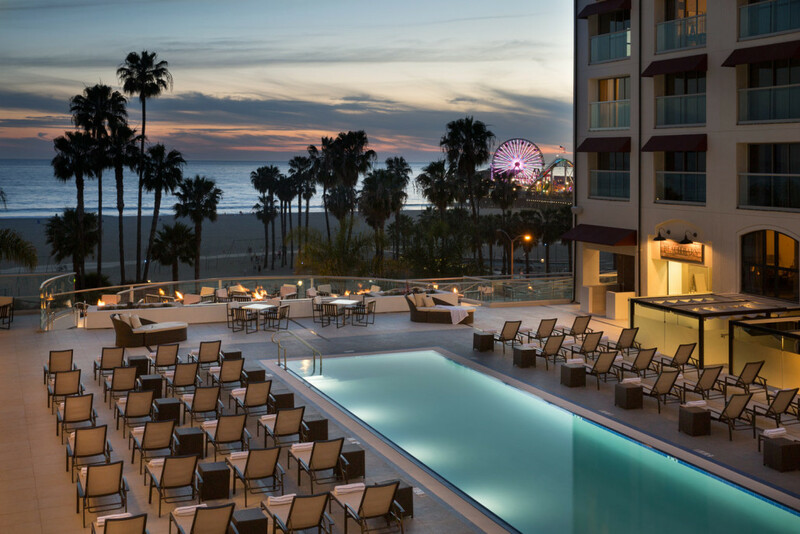 Loews Hotel Santa Monica – Amenities include a high-end restaurant serving Californian/French cuisine overlooking the beach and a relaxed terrace lounge, plus an outdoor pool, a posh spa and a fitness center. There’s also free WiFi in the lobby. Other great options: Fairmont Miramar Suites & Bungalows, JW Marriott Santa Monica Le Merigot, or live it up at the Hotel California. Bike rentals are available at a discounted rate for those who participate in the Getaway. If you’re coming from out-of-town, you’ll want to fly to LAX, and from there, you can either get a shuttle or taxi to your hotel—or rent a car. Plan for 30-45 minutes travel time from the airport to your hotel. Buy your celebration ticket and getaway package now.